Project Alpha was a hoax designed by James Randi, Steve Shaw (a.k.a. Banachek), and Mike Edwards from 1979-1983. Randi trained two young mentalists/magicians—Banachek was 18 and Edwards 17 when the project began—to fake psychic powers while being investigated in a serious scientific setting. They were able to fool the scientists for four years through more than 160 hours of experiments on their paranormal powers. In 1979, James S. McDonnell, board chairman of McDonnell-Douglas Aircraft and devotee of the paranormal, gave $500,000 to Washington University in St. Louis, Missouri, for the establishment of the McDonnell Laboratory for Psychical Research. Randi saw this as an opportunity to disprove the complaint of many parapsychologists that they were unable to do properly controlled experiments because of lack of funding. Randi believed that funding was the least of their problems. In his view, the main obstacle to parapsychology was its “strong pro-psychic bias.” This bias blinds researchers to numerous flaws in their protocols, almost all of which are related to their naïveté regarding human deception and their inexperience at detecting such deception. Some parapsychologists, such as Stanley Krippner, then president of the Parapsychological Association, agreed with Randi that qualified, experienced conjurors were essential for design, implementation, and evaluation of experiments in parapsychology, especially where deception--involuntary or deliberate--by subjects or experimenters, might be possible. But many parapsychologists ignored Randi, as they had been ignoring similar criticism for more than a century and a half. 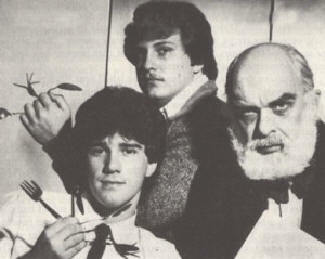 Phillips and his lab assistants became convinced the boys had psychic powers but they also thought of their work as exploratory. In 1981, they took a videotape of the Banacheck/Edwards sessions to a convention of the Parapsychological Association. Their colleagues at the convention are said to have laughed at the video and noted numerous weak spots in their protocols. Some might think that Project Alpha was unethical. I don't. The experiment may have deceived and embarrassed some people, but that was not its purpose. It was a social experiment that was necessary to demonstrate a charge that skeptics had been making for over 150 years. Parapsychologists, no matter how intelligent or well-trained they are in science, are susceptible to deception and self-deception. This has been evident at least since 1882 in the first experiment by the Society for Psychical Research. SPR's first scientific study would have Sidgwick eating those words. Barrett led SPR's first study. It involved a clergyman’s four teenage daughters and a servant girl who claimed they could communicate telepathically. He did a number of experiments with the girls and came away declaring that the odds of their being able to guess correctly in one experiment “were over a million to one.” The odds of their guessing correctly five cards in row were “over 142 million to one” and guessing correctly eight consecutive names in a row were “incalculably greater” (Christopher 1970: 10). More men of integrity with high degrees were brought in to witness the telepathic powers of the Creery girls and Jane Dean, the servant girl. All the scientists agreed that there was no trickery involved. How did they know? They had looked very carefully for signs of it and couldn’t find any! A skeptic might ask: What are the odds that children can fool some very intelligent scientists, even if the children come from a clergyman’s home? The answer is: the odds are very good. Almost immediately the scientists were criticized for being taken in by tricks any magician could perform. It took some time to sink in but eventually the experimenters realized that for some reason human beings like to deceive each other. They use all kinds of non-verbal signals to communicate, which can give the appearance of telepathy. They use glances (up, down, right, left for the four suits of a deck of cards, for example), coughs, sighs, yawns, and noises with their shoes. Other cheaters use Morse code with coins and various other tricks known to conjurers. Sometimes gestures to various parts of the body have a prearranged meaning. Typically someone thought of a name, or a playing card, or a familiar household object, and the girls could apparently guess, almost always correctly, what had been chosen. The authors discussed muscle reading and involuntary guidance and concluded that these could not be responsible for the impressive results. It is interesting that right at the start they point out that the word 'thought-reading' was used only as a 'popular and provisional description, and is in no way intended to exclude an explanation resting on a physical basis' (Barrett el al. 1882, p. 33). So the enterprise began well, with a determination to rule out obvious errors, an open-minded attempt to test whether the phenomena really did exist and an eye to possible theories for the future. But I should add ... that it was fed by a hope that the phenomena would prove to be real and would, in their words, 'necessitate a modification of that general view of the relation of mind to matter to which modern science has long been gravitating' (Barrett et al. 1882, p. 34). It took six years for these rather intelligent men to discover the girls’ trickery. While one group of scientists was validating the Creery group, another from SRP was validating the amazing telepathic feats of a 19-year-old entertainer named George A. Smith and his partner in deception, Douglas Blackburn. Smith became secretary of the SPR (Christopher 1970) and had Blackburn not eventually published a series of articles explaining how they fooled the scientists, the world might never have known the details of the trickery (Gardner 1992). The early scientific studies demonstrate the naïveté of the experimenters and the need for experts in non-verbal communication and deception, namely, conjurors or gamblers, to help them set up protocols to prevent cheating. Unfortunately, the lesson of the Creery girls and the Smith-Blackburn hoax went largely unheeded by most paranormal investigators in the ensuing 150 years, making Project Alpha necessary. See also Carlos hoax, Soal-Goldney experiment, Steve Terbot hoax, Frauds and Hoaxes- topical index, and A Short History of Psi Research by Robert Todd Carroll. Barrett, W. F., E. Gurney, and F. W. H. Myers. 1882. Proceeding of the Society for Psychical Research. 1, 13-34. Blackmore, Susan. 1987. Do we need a new psychical research? Journal of the Society for Psychical Research, 55, 49-59. Christopher, Milbourne (1970). ESP, Seers & Psychics. Thomas Y. Crowell Co.
Gardner, Martin. 1992. On the Wild Side. Prometheus Books. Randi, James (1983a). “The Project Alpha Experiment: Part one: The First Two Years,” Skeptical Inquirer. Summer. Randi, James (1983b). “The Project Alpha Experiment: Part two: Beyond the Laboratory,” Skeptical Inquirer. Fall. Randi, James (1982). Flim-Flam! Psychics, ESP, Unicorns, and Other Delusions. Prometheus Books.